With so much to absorb whilst seeing the world on foot it’s sometimes best to literally take it all in your own stride. Independent walking gives you freedom. Whether you pause or power on: the choice is up to you, from the sightseeing stops along the way, deciding to linger a little over your lunch, or setting off an hour earlier to catch the coolest part of the day. Keen botanists can choose to spend hours minutely studying an endemic wildflower on Tthe Via Dinarica route without worrying about slowing the pace of the rest of a group; everything is done to suit you, and you alone. Never feel rushed, and always remain in your comfort zone. Green Visions is behind you 24 hours a day, just in case. Comprehensive local maps ensure you won’t get lost – unless you chose to! Your bags are transported ahead of you. The detailed route notes provide everything you need, but just in case, there’s a 24 hours emergency telephone number. Self-guided combines the very best of framework and flexibility. Set your own agenda while someone else worries about the logistics. It offers the best of both worlds, combing the carefree ease of group travel with the independence of going it alone. 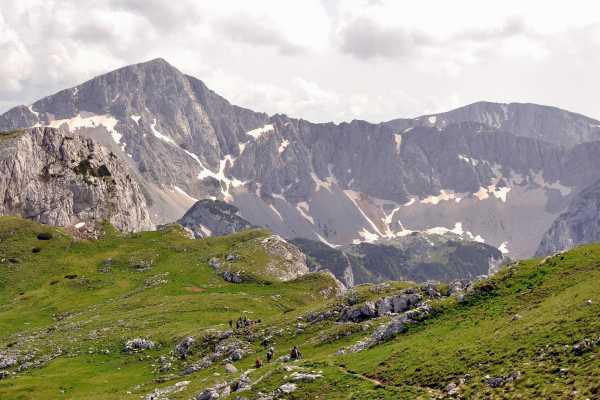 Experience the Olympic Spirit: A seven-day Self Guided Hiking Adventure through Bjelasnica Olympic Mountain Explore the Via Dinarica Bosnia, an area that is yet to be discovered by many hikers. On this adventure, you’ll find a playground for active travellers: Spectacular limestone peaks; glacier lakes; amazing views; colourful wildflowers; medieval villages; and gracious, welcoming culture. Come and explore Bjelasnica Olympic Mountain: a stunning area located at the heart of Dinaric Alps. During your trek, you’ll experience exceptional views and witness to some of the most impressive sunsets in this corner of Europe. Don’t forget to enjoy Sarajevo, Bosnia’s capital city, which hosted the 1984 Winter Olympics. Sarajevo offers an ancient mix of European and Near Eastern culture and living history. The Best of Via Dinarica, Bosnia: An seven-day Self Guided Hiking Adventure through oldest National Park in Bosnia, on Via Dinarica White line Explore the Via Dinarica Bosnia, an area that is yet to be discovered by many hikers. 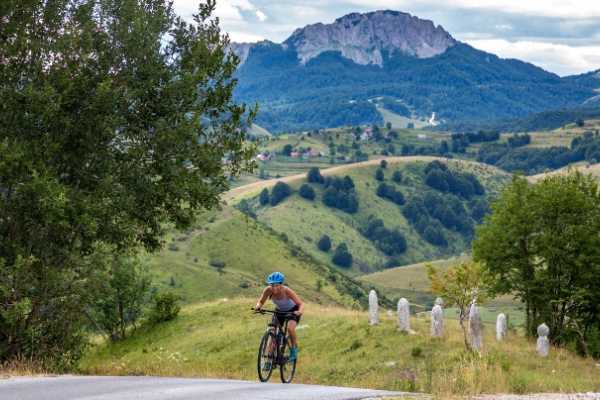 On this adventure, you’ll find a playground for active travelers: Spectacular limestone peaks; glacier lakes; amazing views; colorful wildflowers; medieval villages; and gracious, welcoming culture. Come and explore Sutjeska National Park: a stunning area located at the heart of Dinaric Alps. During your trek, you’ll ascend Maglic (2,386m) – the highest peak of Bosnia and visit Sarajevo, Bosnia’s capital city, which hosted the 1984 Winter Olympics. Sarajevo offers an ancient mix of European and Near Eastern culture and living history.